As The Doctors pointed out, when it comes to the holidays, parents will find different ways to come up with a little extra money for gifts for their kids. However, one mom took a very unconventional approach to cashing in. 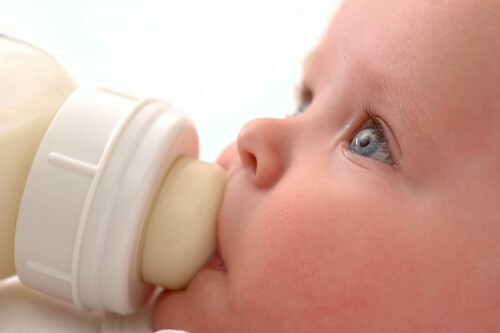 A British mom sold her own breast milk to buy gifts for her kids. She pumped milk into bottles and sold the milk for $20 a bottle. But perhaps most interesting is that other moms weren’t the only ones buying the milk. Body builders, athletes, and even chefs were using the milk. Rebecca, the mom, was on the phone and shared that she made $5,000 selling her milk. Rebecca said some people did ask if she had recent blood tests, but because she was giving the milk to her daughter as well, they believed that she was free from all diseases and was perfectly healthy. Dr Rachael Ross said here in the U.S. and also in the U.K. there’s something called milk banking, but that milk is designed for babies who are in the NICU whose moms can’t breastfeed them. However, the milk and the donors go through rigorous testing and screening before the newborns actually get the milk. She said in Rebecca’s community, perhaps she’s doing a service because some women just can’t produce their own breast milk. Dr Travis Stork said that of course there’s a risk of transmission of disease, so you have to be aware. On Twitter, when asked if they would ever buy another mom’s breast milk, 56% of followers actually said yes. The Doctors then moved on to talk about a woman named Louisa, who was bullied by a male classmate when she was 14 years old. Eight years later, she ran into the former tormentor, who actually asked her out on a date. The girl not only stood him up, but left a letter for him to read as he was sitting there by himself. The letter reminded him of how he bullied her and included a picture of what she used to look like, asking him to remember that girl because she’s the one that stood him up.